LARS has now completed the refurbishment and upgrade work of the Met Office Radar Station at Ingham in Lincolnshire. Work has included the fabrication and installation of a spiral staircase and platforms, to improve accessibility, and the refurbishment of the radar and the fitting of a new radome. 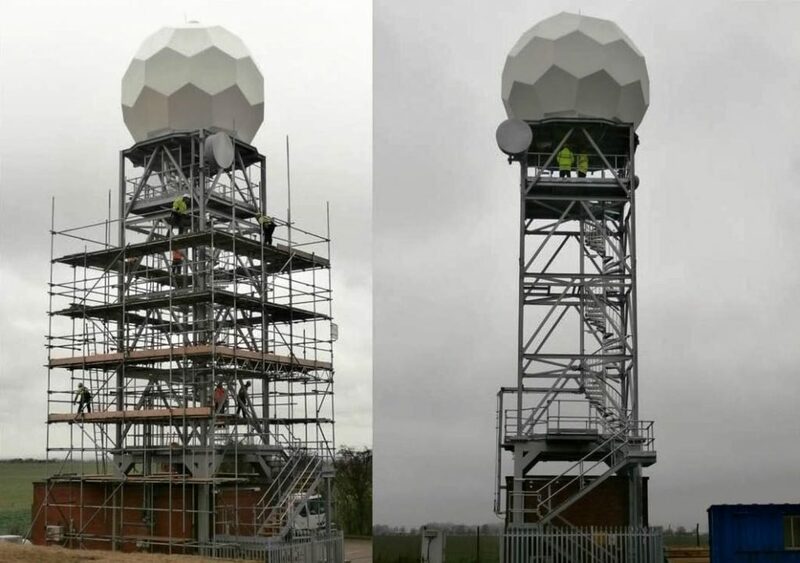 The work on-site at Ingham is part of the renewal programme by the Met Office and Environment Agency to upgrade weather radar capability, as well as improving the buildings and tower infrastructure to meet the latest health and safety requirements. LARS is due to start similar work at the Clee Hill radar site in Shropshire in early 2015.